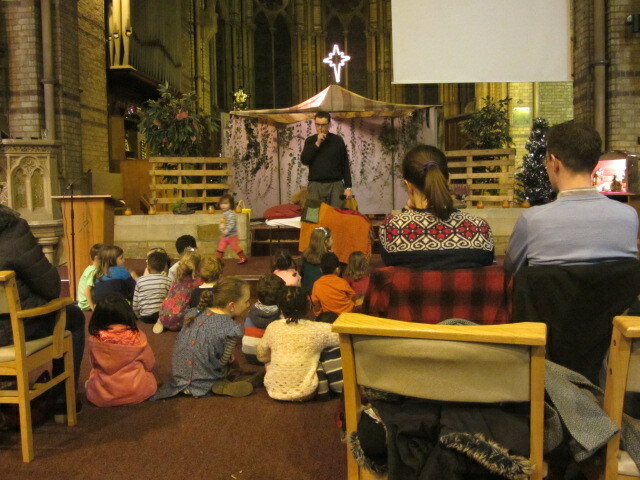 We have lots going on in our children and youth work on Sundays and throughout the week. XStream is our Friday evening club for children aged between 7 and 11. It's an hour and a half of lively games, team challenges and a variety of activities to choose from, as well as a chance to hear all about who Jesus is. Our youth group CrossRoads meets on Monday nights and is open to young people in school years 7-11. It's a place to hang out with friends and play games, and talk about what it means to know and follow Jesus in our daily lives. The "U-Wot?" Group for 15-18yr olds meets once a month on Thursdays in the home of a church member to hang out and explore the Bible together. Come along to one of our Sunday services or get in touch with Marcus to find out more. We have a monthly All Age Service during our morning service. This is on the second Sunday of the month. Children and adults stay for the whole service. The talk is all age friendly and we hope to include everyone in this whole church time of worship. The creche room is available if younger children need special attention, but this is unmanned and parents/carers need to stay with their children. During morning services (apart from the All Age Service), there are groups for children up to age 16. These run during the morning service and are times of fun, prayer and Bible study. The session begins with a time of singing for all of the ages present, and then children divide into age appropriate groups. Children join the adults for a time of worship at the start of the service, and leave for their groups after about 15 minutes. On the 3rd Sunday of the month, children rejoin the service for Communion.